The Winchester Police Department along with Medford and Somerville police, arrested Michael Wallace of Somerville for armed robbery. Wallace is being charged for the June 15, robbery of the Dairy barn on Main Street in Winchester. Wallace is also suspected of robbing convenience stores in Medford and Somerville. Both Winchester and Somerville police departments received anonymous tips which led to Wallace’s arrest. The Winchester Police Department is currently investigating an indecent assault and battery upon a 12 year old female resident that occurred in our town today at 2:01 PM. The female victim was attacked from behind by a 6’1” tall, dark skinned Asian male reportedly in his mid-twenties, with a crew cut and thin muscular build. 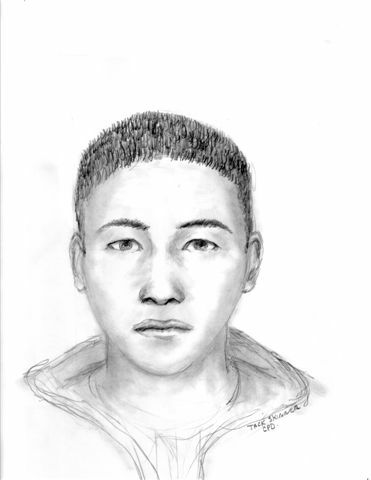 The suspect was wearing a baseball cap, a gray unzipped hooded sweatshirt and red sweat pants. The suspect was initially walking from Medford on Grove Street at Canterbury Road and passed the victim. He suddenly reversed his direction and attacked the victim from the rear, attempting to pull her shorts down. The victim struggled to keep her shorts on and fell to the ground. The suspect then jogged away on Grove Street, heading towards Sussex Road. A teenage male witness driving on Grove Street from Medford observed the female victim on the ground and made direct eye contact with the suspect. The male witness attempted to follow the suspect but lost sight of him as he fled up Sussex Road. Below is a composite sketch of the suspect. If you have any information regarding this incident or can identify this individual, contact Winchester Police at (781) 729 – 1212. Residents should be aware of incidents which have occurred in town involving people attempting to gain access to homes. The scam involves an individual ringing the doorbell of a home and meeting with the resident at the front door. The suspect then explains to the resident that he is there to measure the backyard for a trench that will need to be dug as part of a public works project (or some similar story). When the resident responds to the backyard with the suspect, an accomplice then enters the home through the front door and steals whatever can be taken in the time the homeowner is occupied in the backyard. Some residents have already become victim of this scam. If a suspicious person or contractor approaches your home and requests access to your property, contact police immediately. If someone claims they are contracted by the DPW, do not allow them in your home. Legitimate Winchester DPW workers will have identification cards and drive vehicles with blue Massachusetts license plates. The DPW also makes notification to residents ahead of time if significant work is going to be done in residential neighborhoods. Regarding utility workers: It is unusual for a utility company to request access to your property, but not unheard of. If a person announces him/herself as a representative of a utility company, ask to see an ID and make sure that it is legitimate (NStar, National Grid, Verizon etc.). Look for a marked company vehicle in the area. If they are requesting access to your home, refuse and contact the utility company they say they are with for verification that they need to be there. If the call is legitimate, the utility worker should be understanding of your due diligence. Don’t allow yourself become a victim. Don’t be afraid to report suspicious activity to police. Renovations to the police station began this week. While police service will be uninterrupted, there is a phase of the project where the Records department will be temporarily relocated. Starting around the second week of June, Records will be relocated to the trailer in the rear lot of the Public Safety Building. Support the Winchester Police Department as we take on the All Pro Celebrity Softball Team. Our annual Winchester Police Relief Association softball game will be held at 7:00 PM on June 6, at Ginn Field. The event is being held on the same day as Town Day, so come down to Ginn Field for the game and stick around for a great view of the Town Day fireworks. 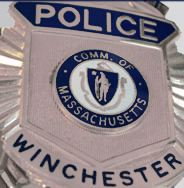 The Winchester Police Relief Association appreciates your support.